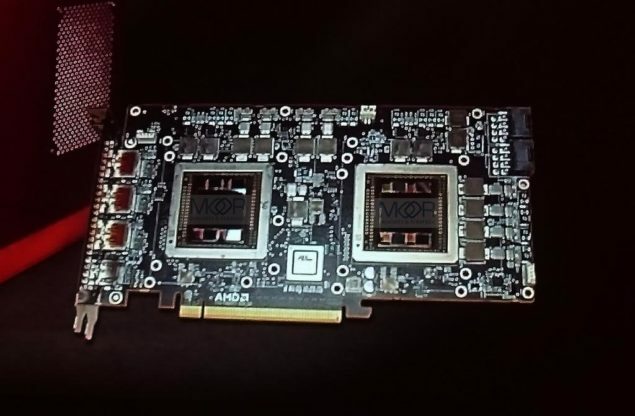 Details of the upcoming AMD Dual GPU with Fiji cores have finally leaked out. Zauba is one of the most authentic source of shipping information and they have just listed a “Fiji Gemini” shipped from AMD headquarters in Canada. Gemini, of course, is the astrological sign with the twin imagery and steeped history in Radeon GPUs, so it isn’t really surprising that we have spotted it once again. We know a dual GPU featuring two Fiji XT cores was going to be launched soon and this shipping manifest does gives us an idea of the tentative timeline. Given below is the shipping manifest in question, Now Gemini is the code-name AMD has previously used in the past for dual GPU variants and surprisingly, the manifest also contains another phrase: ‘Tobermory’. Now this could simply be a reference to the port that the card shipped from (which is unusual in the description but much more likely than the alternative) or it could be the actual codename of the card, with Gemini just being the class itself. Since AMD did not use the R9 390X designation for the Fury branded series of cards, I doubt they will call this particular graphic card the R9 395X2, instead, the R9 Fury X2 and R9 Gemini are much more probable candidates. The manifest shows that AMD will be sticking with the Cooler Master heatsink, which is the standard aio liquid cooling solution used in the R9 Fury X (hopefully without the pump whine issues). Since the ‘FOC’ tag is mentioned, we know that the design is fully completed and (probably) already in the hands of select reviewers. Fortunately for us, the price of the card is also given, and while this is most definitely not going to be the price of the actual thing – it will allows us to get a tentative idea of the MSRP by using the price of the Fury X prototype. The dual Fury XT graphic card will pack over 8192 stream processors in 128 CUs. Since a single Fury X has 4 ACEs and 2 HWS you are looking at a total of 8 ACEs and 4 HWS for the Radeon R9 Gemini (no, this isn’t a typo, we will do a detailed piece on this in the coming future). A single R9 Fury XT boasts an impressive performance of 8.6 TFLOPs, so you are theoretically looking at one of the world’s most powerful single GPU solutions clocking just over 17.2 TFlops. Needless to say, this is more than ample power to deliver a rock solid 60 frames per second at 4K resolution. Virtual Reality is all the buzz right now and currently the VR standard is at 2k with 90 frames per second, so once again, this product will be able to offer an absolutely seamless gameplay experience when combined with the Oculus Rift. AMD’s Liquid VR technology will be the icing on the case. All those presentations we saw about Affinity MultiGPU where one chip powers one eye is exactly what this is all about.